Vasculitis is an inflammatory process affecting blood vessels. Based on the involvement of the endothelium or the wall of an artery or vein, the inflammatory process can cause thickening, weakening, stenosis, occlusion, aneurysmal dilation, and scarring of the vessel, limiting blood supply to tissues and leading to partial or complete organ failure. 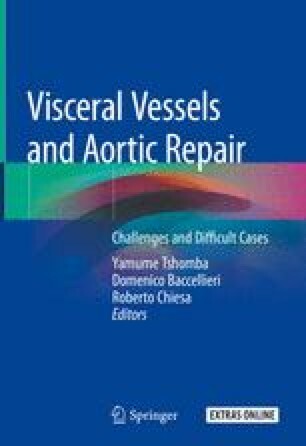 Vasculitides affecting large arteries include Takayasu arteritis (TA) and giant cell arteritis (GCA). TA is a rare disease, which is more commonly observed in parts of Asia and the Middle East and typically affects younger women. TA causes inflammation of the aorta and its main branches and may cause a broad spectrum of symptoms ranging from limb claudication to chest pain. GCA is the most common form of vasculitis in adults. While also affecting the aorta and its branches, GCA exhibits a predilection for cranial arteries. Common symptoms of GCA include headache, jaw claudication during prolonged chewing, and visual disturbances or loss of vision. Both TA and GCA require treatment with long-term immunosuppression, which is usually effective at controlling disease manifestations in the short term. However, treatment toxicity and relapses of vasculitis are also common, and selected patients require a surgical approach.